Barcelona, Spain 7th September 2018 – Neonwall VR by JanduSoft S.L. is coming to PS4 VR, Oculus Store, Viveport Store, Steam and XBox on September 13th! Escape your way out of Neonwall by solving puzzles and overcoming a variety of challenging levels. Over the course of the game you will need a combination of skill, concentration and precision to be victorious. – Drag, change color & shoot with your VR controllers. – Three game modes. Runner, Puzzle & Time trial. – More than 50 levels in 3D. – Support for different game controllers modes. To stay tuned on JanduSoft news, follow us on Twitter, like us on Facebook, and subscribe to our YouTube channel. 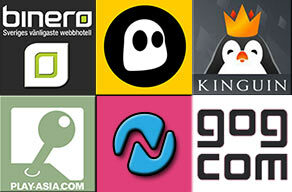 JanduSoft is a Catalonian game company located in Barcelona, founded in 2012. Since then the company has grown in numbers and has been focusing on brand new games and experiences. In 2017, JanduSoft published the arcade platformer/beat’em up Caveman Warriors for PC, PS4, Xbox One and Nintendo Switch; and earlier this year, the shooting puzzle Neonwall for Nintendo Switch. Norain Games is a small indie game developer team based in Barcelona, which aims to offer enjoyable experiences to passionate gamers. Neonwall is Norain’s first project since the team started its activity in late 2016.